It’s the latest color I am obessessing over. 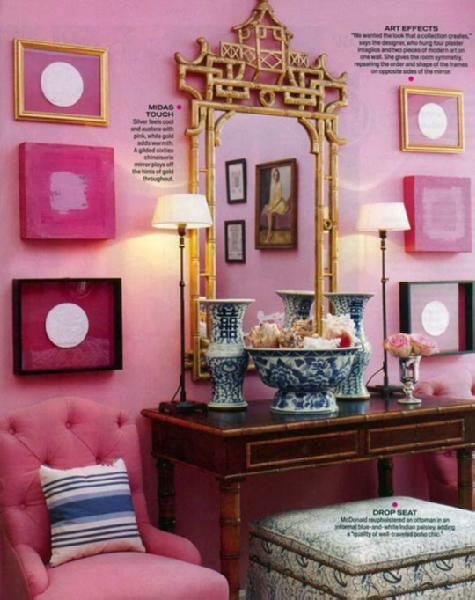 I am super excited that one of my favorite clients ‘N” approved hot pink curtains with her Hague Blue Walls. It is going to be divine. My client “E” let me sneak some in her living room which made me super happy. 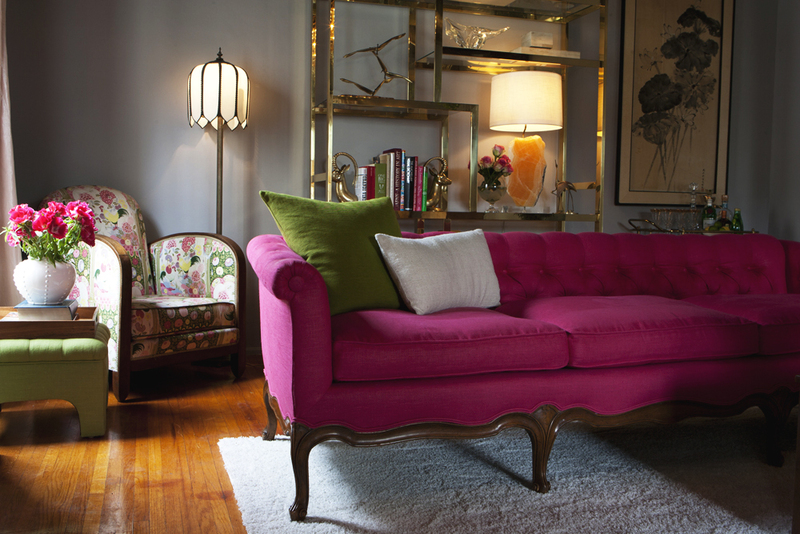 Here are some of my favorite images featuring my color crush. 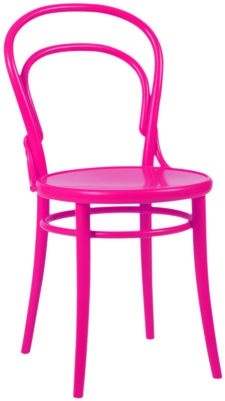 You’ll always be in the “hot” seat in this chair. 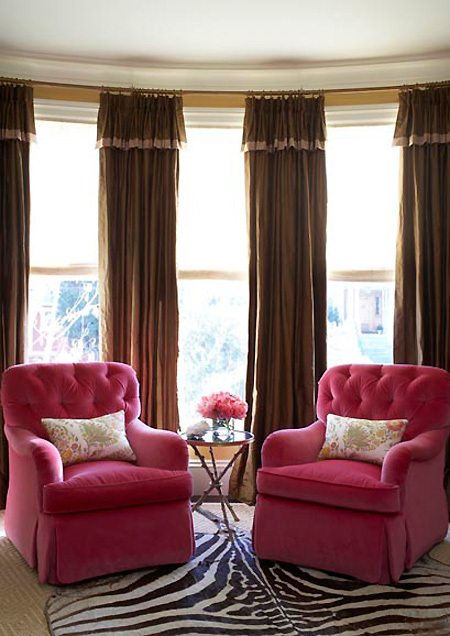 The pop of hot pink on the chair cushions make this room. 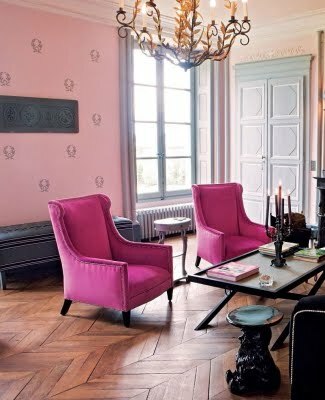 And no wonder the room is so chic, it belongs to one of my style crushes, Minnie Mortimer and her husband Stephen Gaghan. Typically not a fan of the hot pink/black combo. 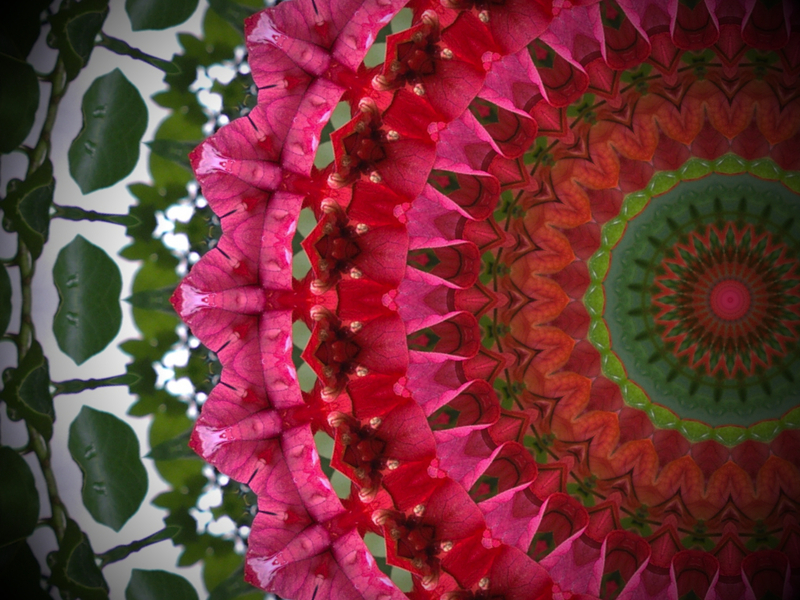 It tends to look at little too “Gallery Z” for me, but this entry works. 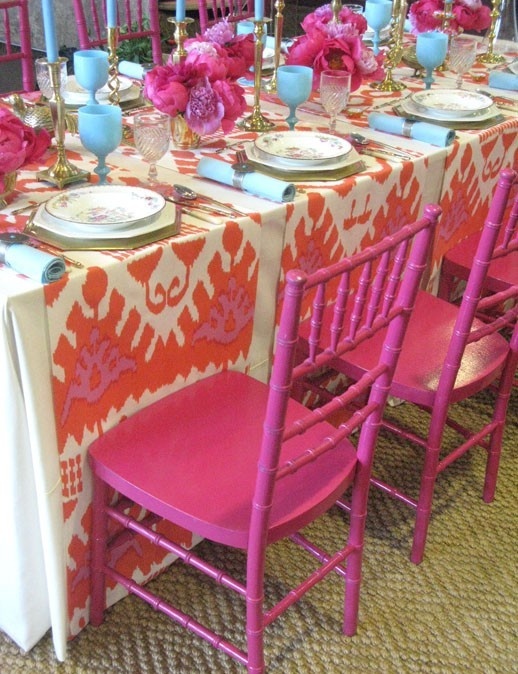 Throw some hot pink into your tablescape for a chic summer look. 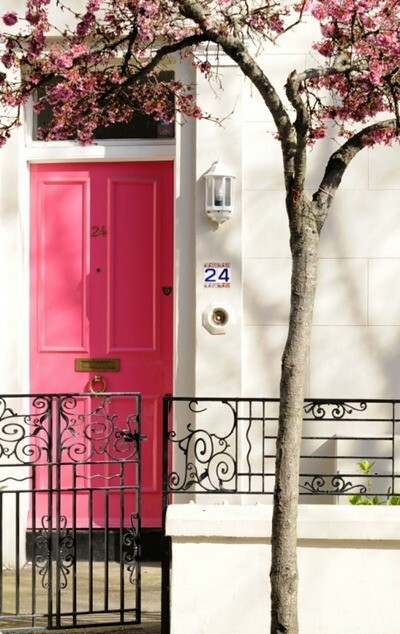 Throw some hot pink into some of your accessories. 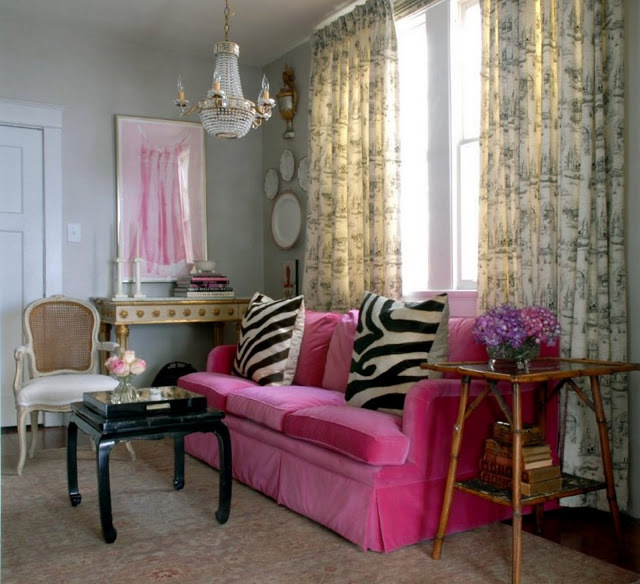 The hot pink pillows on the blue gray sofa gives the room pizazz. 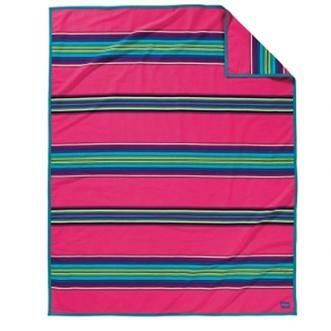 I love the navy and hot pink on this throw and the serape vibe makes this a winner. 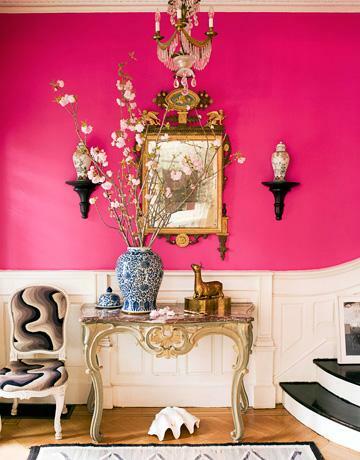 The hot pink color jumps out in these wallpapers. 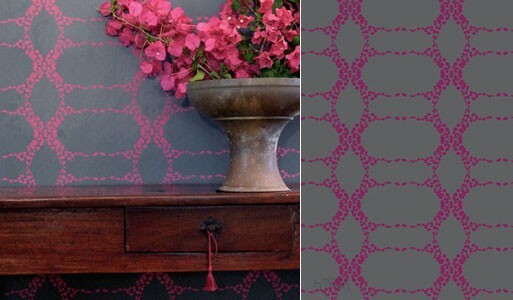 I love this Elizabeth 2 Grey and Pink wallpaper by “Madison & Grow” . I love this shot and her outfit. 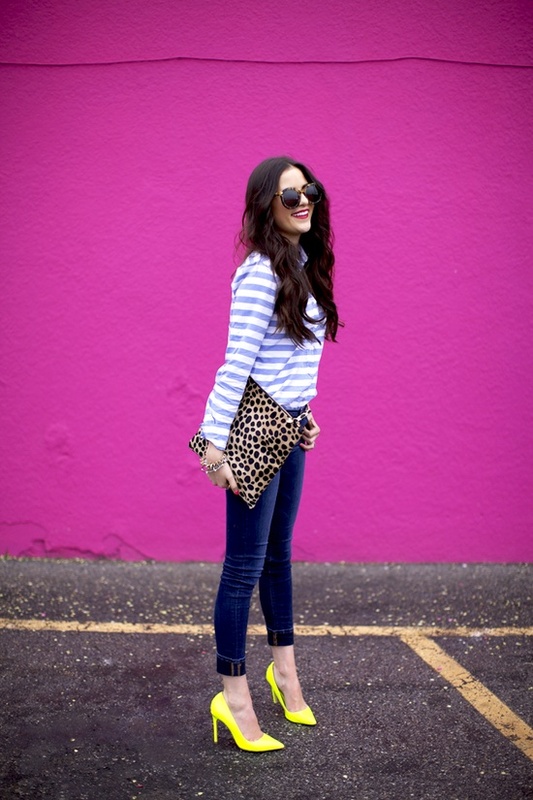 If only I could walk in heels. I haven’t done that in 10 years.